Complete analysis on how safe each stock is. What each stock is worth, compared to what its current price is. VectorVest’s Buy, Sell or Hold rating for each stock. We will rank your portfolio in 5 different ways, based on VectorVest’s proprietary stock analysis system. 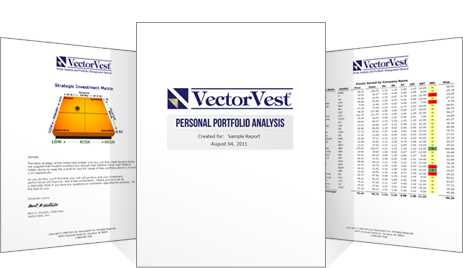 Get a FREE Portfolio Analysis with a Risk-FREE trial to VectorVest for only $9.95.